Levesque's Gate to Anime: Wrestling and Anime : Why can it never be compatible? Wrestling and Anime : Why can it never be compatible? The genre of Sport is one of the most highly-revered genre within the anime industry. The popularity of the sports game has led into being adapted into many anime titles upon these past years. Season after season, there’s bound to be at least one or two sport-titled anime that airs. But, one thing comes to mind. Wrestling. Rarely to never has there been any anime about wrestling genre. Wrestling is sport mind you, though some brandish it as a Sports-entertainment. If playing chess is classified as sport, then why isn’t wrestling a sport? Just a simple challenge. Can you name an anime with the wrestling as it’s genre? I have two, but it’s not that popular. Those are Wanna be the Strongest and Tiger Mask W, none of which are household name, though Tiger Mask is a decade-long title that was just adapted again. This is a problem though. When asked about other sports anime, I can name them as easy. Example is : Basketball : Slam Dunk! And Kuroko no Basuke. Soccer : Captain Tsubasa. Rugby/American Football : Eyeshield 21. Martial Arts : Kenichi the Mighties Disciple. Volleyball : Haikyu!. Tennis : Tekyuu. Baseball : Big Windup. Swimming : Free! If you count racing as sports, then Initial D.
Why wrestling genre is something that anime rarely ever touch upon? Because Japan held wrestling in high regard, despite it was brought there. No, wrestling did not originate from Japan. It was brought there and evolved into what is known today as Puroresu. It was popularized by Riki Dozan back in the early 60 or so and it grew in popularity ever since, and is known by most wrestling fans as the true wrestling spectacle to behold. I love watching wrestling, especially WWE, like it isn’t obvious enough from my icon. People kept telling me that wrestling is fake, especially WWE. I know, but since I enjoyed it, I pay no heed to them. Recently, I was over the moon due to The Hardys returning and was welling up in tears due to the supposed retirement of the Undertaker. That’s what something that you like does to you. If you become engrossed enough to it, then you can feel the same emotion that I do when watching it. I was watching WrestleMania 33 and I felt every moment of it. Enough about my personal enjoyment, let’s return back to our subject. WWE, the global brand of wrestling business right now, treats it not as wrestling, but sports entertainment, and as a result, puts more emphasis on character, storyline, brand, and merchandise, before thinking about how they would deliver their product, while Puroresu puts their focus first at delivering good wrestling match, before thinking about those sub-factors. WWE focuses on delivering entertainment. 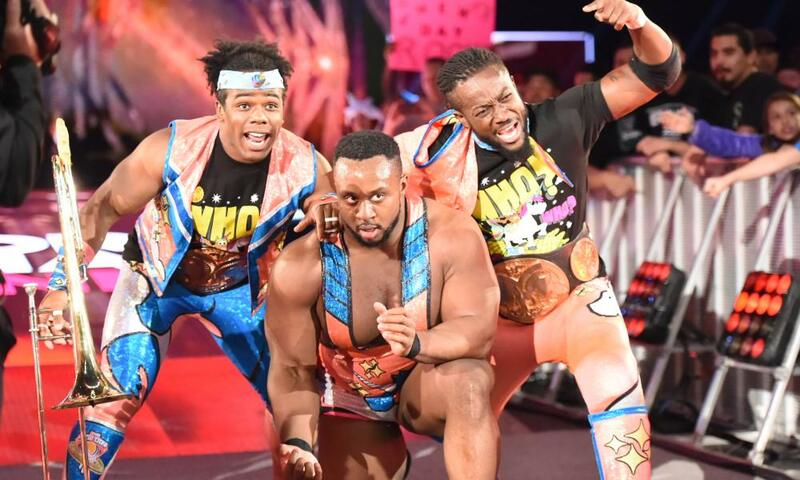 Pictured above are the New Day, known for their gimmick of over-the-top positive people. 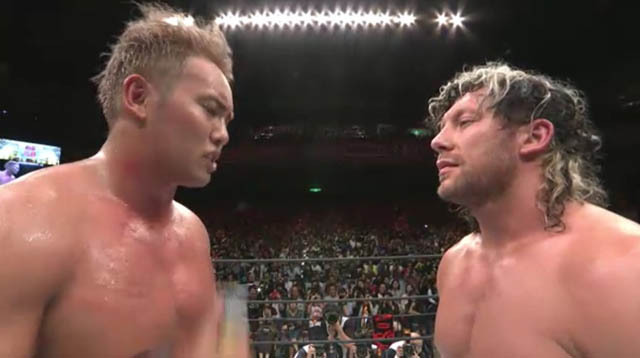 While Puroresu [Pictured above are Kazuchika Okada and Kenny Omega] focuses on delivering a genuine wrestling match. Many of the American wrestler who failed to make impact in the wrestling business in their country but had potential, tend to go to Japan, where they’re given enough chance to prove that they are capable of being inside the wrestling ring. For example, MVP [Montel Vontavious Porter] was mainly a mid-carder in WWE, however, once he went to Japan, his career surges and was able to show his worth, though a move back to the US hurts his career again. Another example is Kazuchika Okada, who went to US and was told that, while his wrestling skill is one of the best in the world right now, he has no remarkable character, and thus, he moved back to Japan and develops a character that would appeal to the Japanese fanbase, and moving him up as one of the top wrestler in the world. From WWE, there’s A.J. Styles, Finn Balor, and Luke Gallows and Karl Anderson [All four are the former members of the Bullet Club] that was okay on US, but truly made their impact on Japan, save for AJ, who was awesome too on US. There’s also several Japanese own name such as Shinsuke Nakamura, Asuka, Hideo Itami, Akira Tozawa, Tajiri who were popular in Japan. Also, Japan tends to put on best wrestling matches in the history. No need to go far behind, Kenny Omega and Kazuchika Okada put on one of the most memorable match in the wrestling history, rated even 6 by Dave Meltzer. And the five-star ranked matches mostly comes from Japan. And as a result, since it was held in high regard, people would think that making an anime based on wrestling would be treated as an insult. Since it was held in such high regard that the aforementioned MVP, who returned to US and later in a tour, went back to Japan, break his character [He is supposed to be an evil character] to proclaim his love for the Puroresu style of wrestling. Pictured above is the anime Wanna be the Strongest. The shots on putting female wrestler on a precarious position in a submission hold is the focus of this anime, mostly. Anime is known for it's overdramatization on almost everything. And as a result, the experience of watching a wrestling anime is almost as similiar as watching a WWE product instead of a true Puroresu. Finally, professional-wrestling is commonly known as choreographed movement between two or more people and the winner is choosen, or booked as how it should be stated in professional wrestling glossary. With that in mind, sports-genre lover, who normally follow their heroes, and sometimes their team, become the underdog and winning the tournament and feel the joy of it as their team celebrates, won’t feel the same when they see their underdog wrestler in anime actually winning. Despite how it is presented, how it is delivered, professional-wrestling in anime will never capture the magic that they have in reality. Other sport-anime manages to capture this kind of moments, such as Slam-Dunk and Haikyu!, or even Captain Tsubasa. I remember when Hinata’s team [From Haikyu! ], who was positioned as an underdog in a tournament, failed to win. The emotion that they let out afterward felt so relatable to so many and captures the feeling of someone, who advanced so far, yet failed to achieve. One more thing. Out of all the wrestling-move in Anime, why the usage of the German suplex is so dominant in the anime? Well, it’s because the Japanese want to pay homage to their god of wrestling, Karl Gotch. Karl Gotch, while not the one who popularized Puroresu, was the one who shaped the style of puroresu to what it is today. German Suplex was his finishing move, and as a result, the usage of it has been attributed to Karl Gotch, even if the genre of the anime is not wrestling. While many anime may have put the German suplex there without knowing Karl Gotch and just following the trend, those who actually know Karl Gotch will simply know that it is made to pay tribute to the late wrestler. This one is from Nichijou, while below is from Angel Beats! 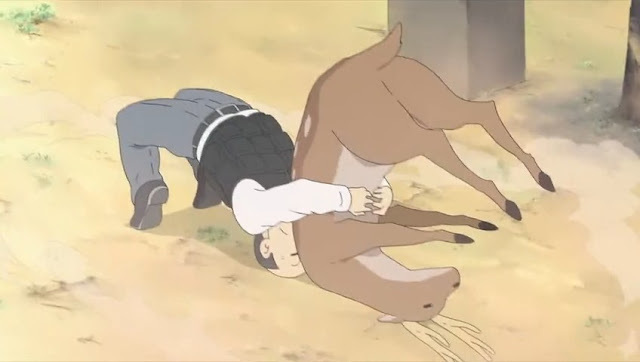 German Suplexes are a popular wrestling move in the anime industry. Animating wrestling matches would make the move either too overstretched or unnatural that makes it hard to look. Putting strange genre over the wrestling would also hurt, such as The Wanna be the Strongest. In that particular anime, they mixed in the idol genre into the wrestling genre, making it something hard to watch for casual anime fans and those who actually enjoy anime. I only watched Wanna be the Strongest and Tiger Mask W, and it was as clear as day the difference that it sets from the normal sports genre. The matches were overstretched, the commentary sometimes were distracting, and the moves that were used sometimes looks painful as it looks strange. 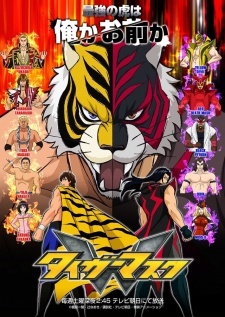 While most anime fan says that Tiger Mask W delivers a genuine feeling of a professional wrestling match, the animation is sub-par and it doesn't really interest any casual anime fan. At this point, choosing wrestling-genre anime is not a logical choice for people right now. If they want to be entertained, they can choose to watch WWE. But, if they want to watch a legitimately good wrestling match, Puroresu is definitely the choice. Either way, there’s no room for anime to be choosen.